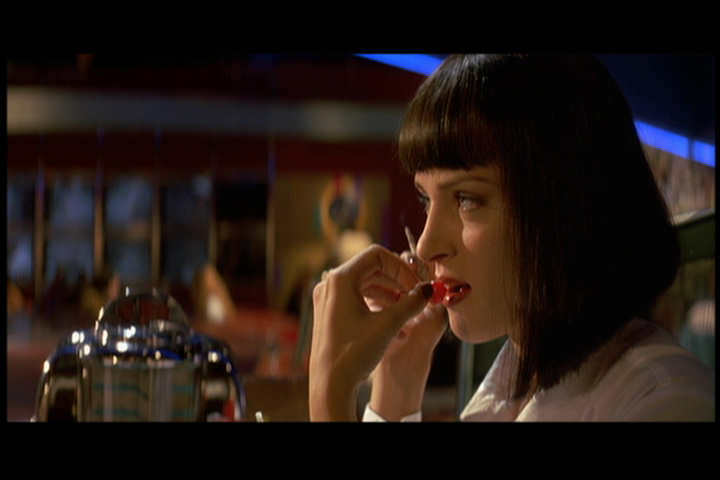 I came away from Pulp Fiction (1994) with the same feeling as all other Quintin Tarantino films. I recognize the awesome craftsmanship and talent, but I don't know if I like them. I don't know if they're good. A friend of mine questioned Pulp Fiction being on the AFI Top 100, and I pointed out that a top film might not be a great film, but instead one that breaks new ground. I suspect Pulp Fiction belongs in this category. If there's greatness in this movie, it's in the tremendous writing. The dialog and construction spark like muzzle flashes. The humor is so dark as to be dipped in molasses. And the stars are expected to act, not just show off their glitter. There are no good people here, and the situations are so extreme as to be comical yet horrific--Tarantino's style. It's as if he absolutely believes that watching violence in movies doesn't hurt anyone, and so merrily combines the visual gusto of Kurosawa with the graphical charms of Romero. So, what about that "new ground" I was talking about? Well, Mr. Tarantino takes his four or five short, interrelated subjects, chops them up in space and time, then recombines them in a collage wedding dress that nicely enhances the bride's features, yet keeps you wondering whether plaid and fur are supposed to go next to each other. Really, the editing is impressive to my eyes. It's comic book style in crazyland. 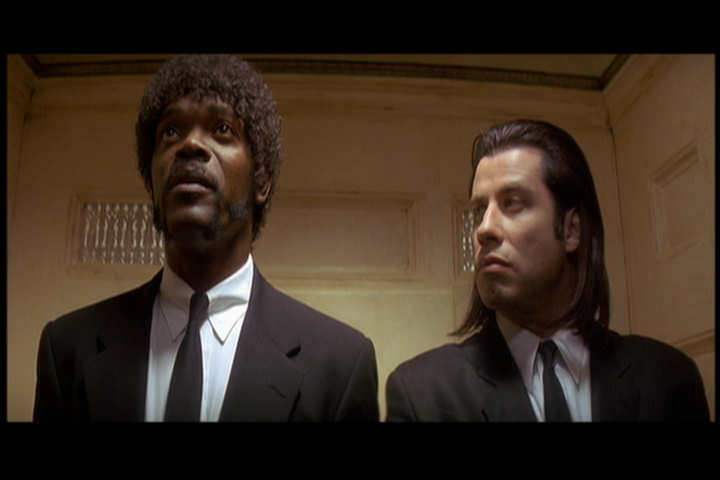 Pulp Fiction should only be watched by well-adjusted people. Samuel L. Jackson and John Travolta. Their conversations are stunning, and Jackson is amazing. He delivers his lines seamlessly. 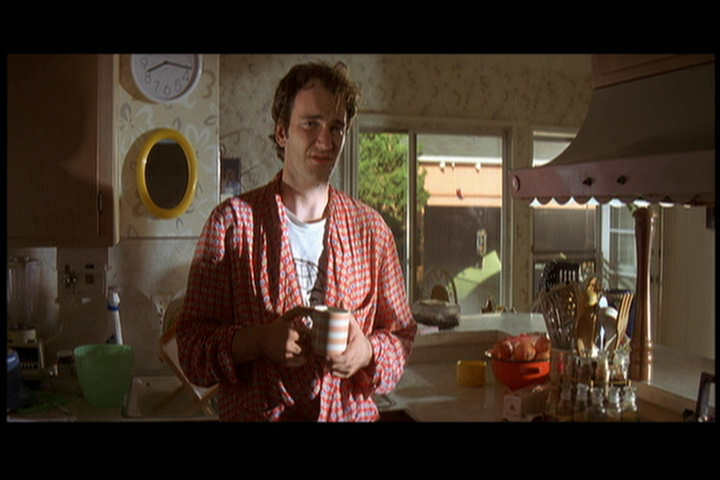 Many of the movie's shots place the actor in the left or right third of the frame. Here's the exquisite Uma Thurman. 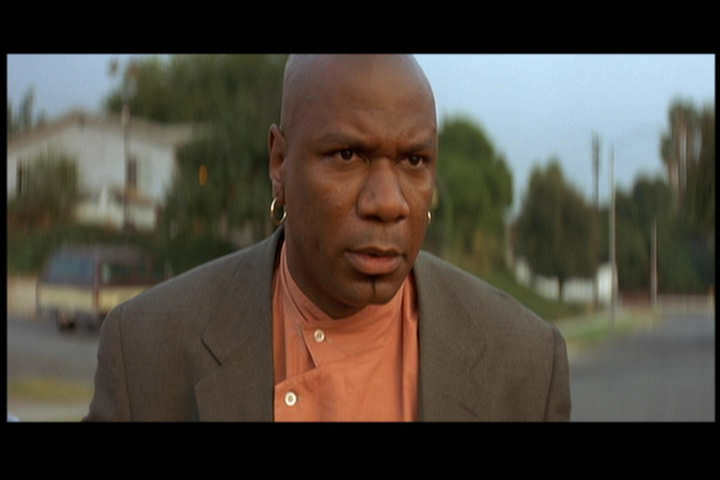 An utterly convincing Ving Rhames, whose character gets better than he deserves. 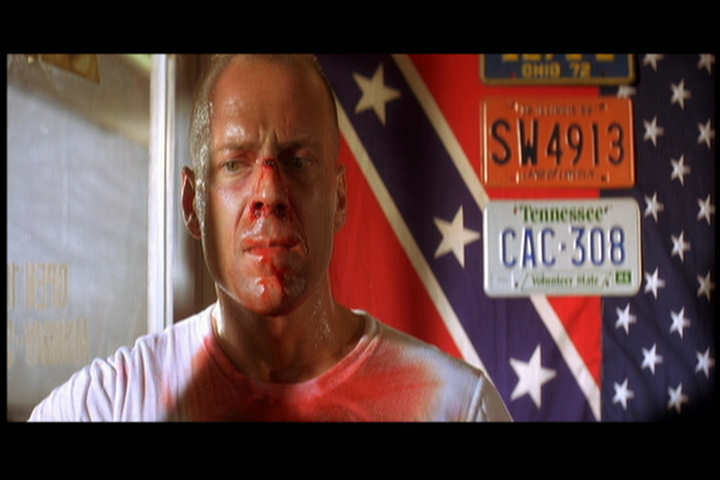 Bruce Willis, whose character probably gets exactly what he deserves! The director, in a cameo. Tarantino is an engaging actor who can show exactly how he wants his characters to behave. 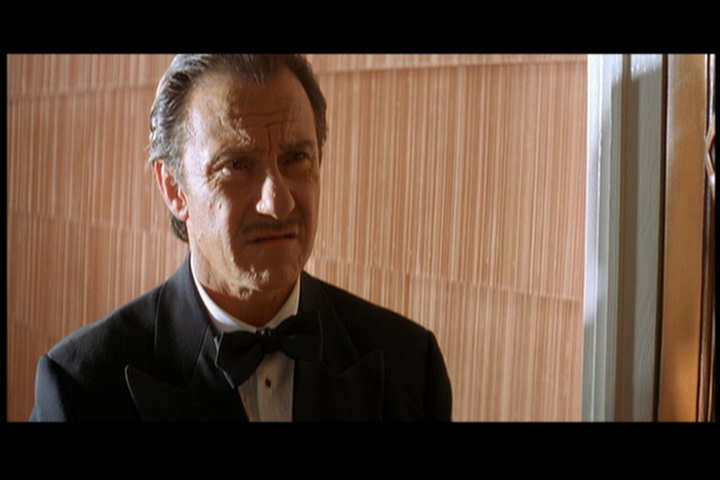 Making it look easy is Harvey Keitel. I'll bet his character--a minor one--is very popular among fans.